Translation: Freiberger had been warned -- if NBC didn’t like what they saw at the “rough cut viewing,” the network could refuse to pay for (and not air) the episode. Freiberger recognized the seriousness of the threat and chose to take much of the action out of the action-adventure, including the explosion, the falling boulders, and the more horrific aspects of Lincoln’s death. The battle of getting this episode made continued. 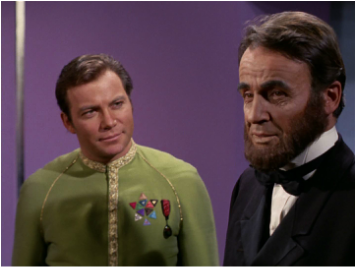 Read all about it in These Are the Voyages, TOS [The Original Series]: Season Three. In honor of its broadcast anniversary, watch the original episode.